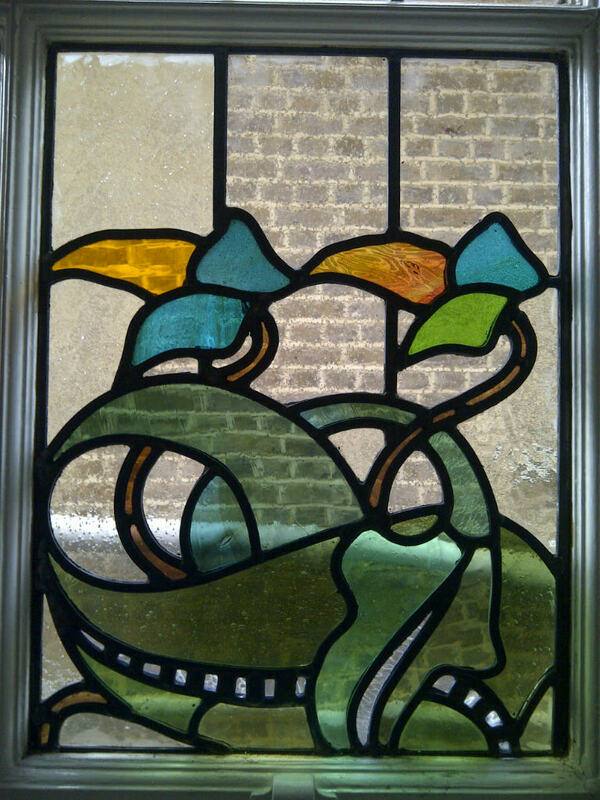 Today at Coriander Stained Glass we’d like to share with you some recent work we’ve been carrying out for Hampton Court Palace. 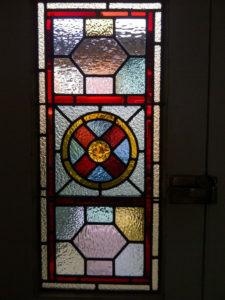 We have restored this traditional lead light in the Georgian House, which is one of the properties the palace lets out to visitors via the Landmark Trust. 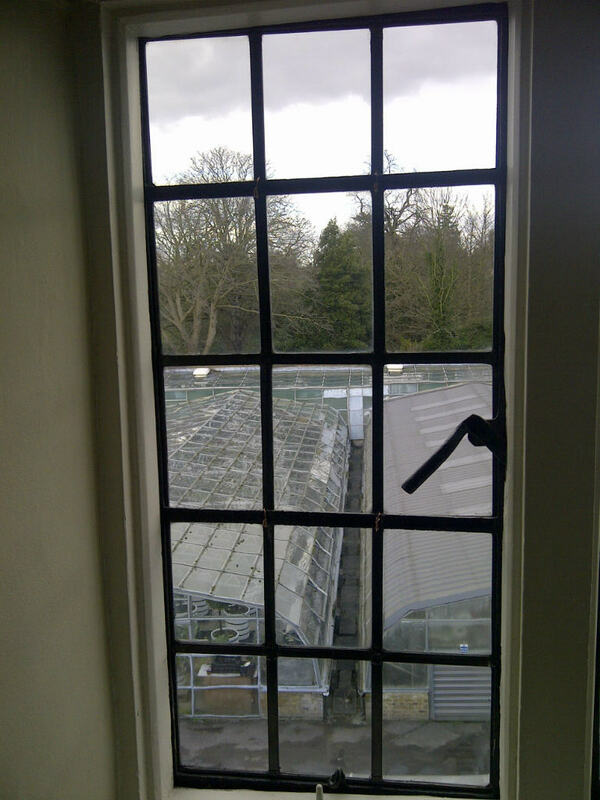 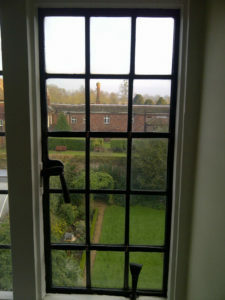 Other projects we have to share with you include this collaborative work with SPS Timber Windows. 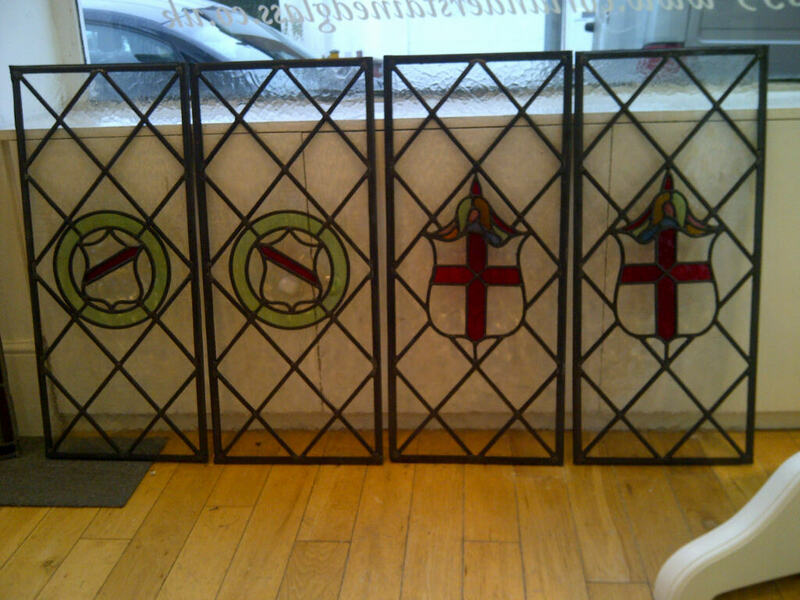 The four 1930’s residential stained glass panels have been restored here at Coriander Stained Glass to be fitted back into new wooden window frames made by SPS Timber Windows. 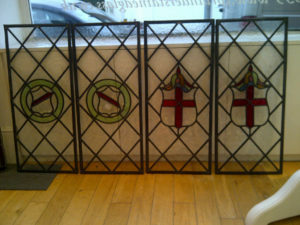 A restoration project for a stained glass panel in Wimbledon. 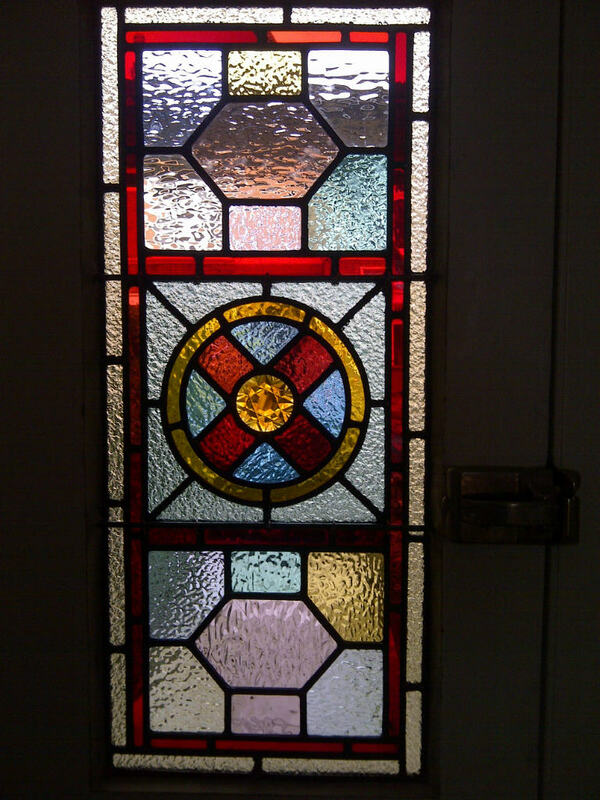 For more ideas and inspiration for your own piece of stained glass please visit our stained glass portfolio. 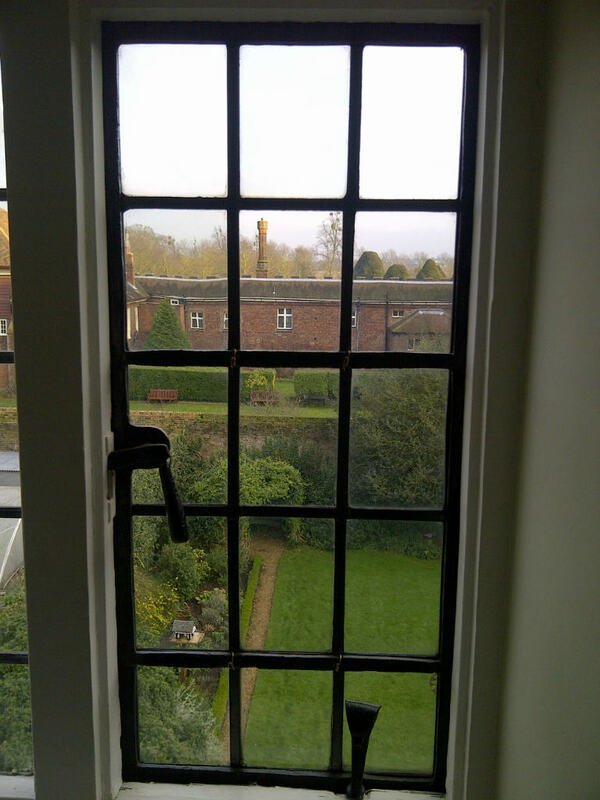 You can also keep up to date with our news by following us on Facebook and Twitter. 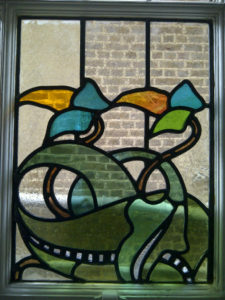 Here at Coriander Stained Glass we are very pleased to update you with our latest piece of work, for Hampton Court Palace. 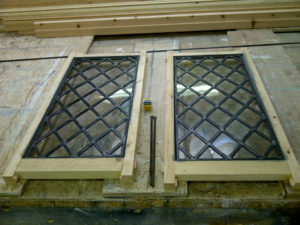 This picture shows two diamond panels that we have stripped and rebuilt into new lead light structures using the old glass, which was probably two to three hundred years old. 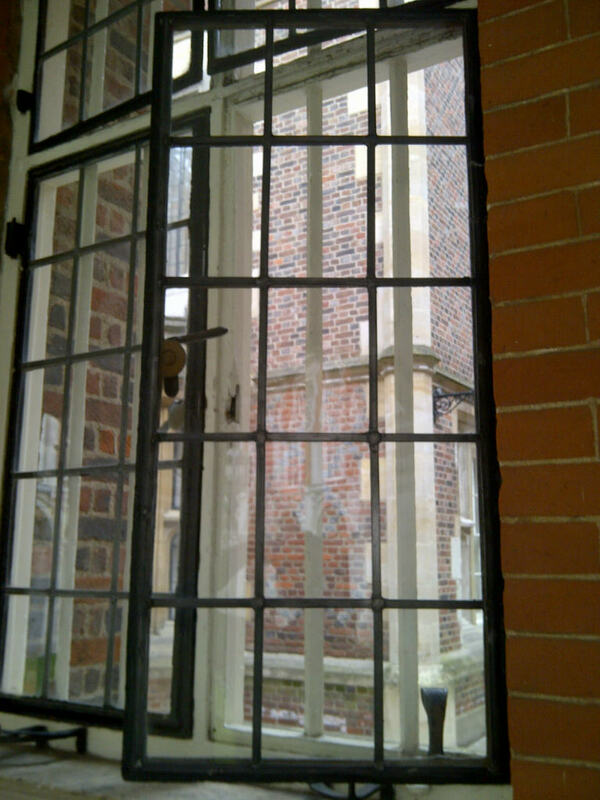 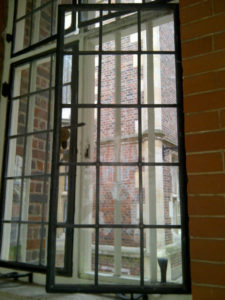 New frames have been made by the joiners at Hampton Court, the picture was taken in their workshop at the Palace.